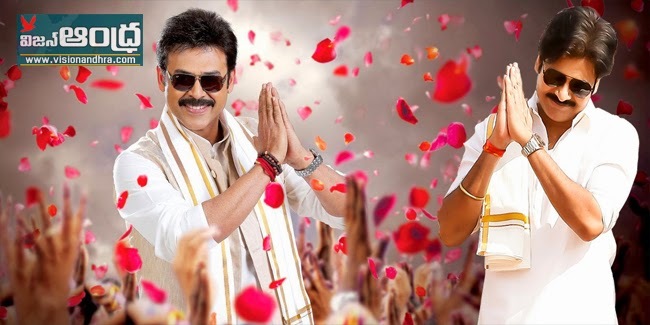 The Multi-starrer movie ‘Gopala Gopala’ starring Victory Venkatesh and Power star Pawan Kalyan directed by Dolly of Thadakha fame are planning to release the movie on Pongal (Sankranthri) 2015. Actress Shriya Saran is playing role of wife for Venkatesh. The movie is produced by D.Suresh Babu and Sharath Marar under the banner Suresh Productions and North Star Entertainments. The music is composed by Anup Rubens. The movieis remake of Bollywood blockbuster film Oh My God starring Akshay Kumar and Paresh Rawal.